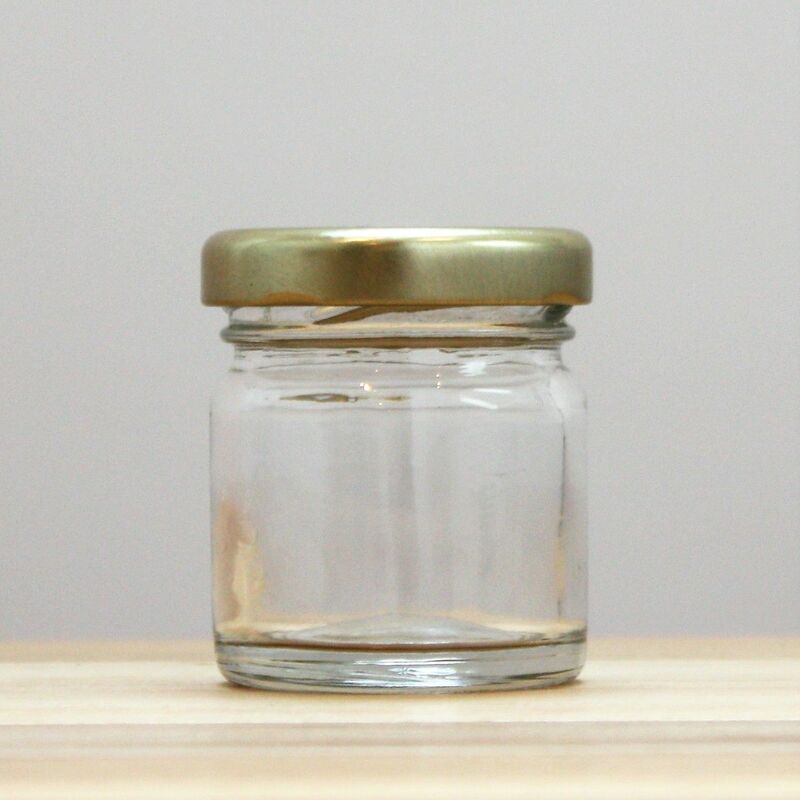 Mini 1 1/2 oz jar with gold twist lid. These tiny jars are great if you want to give everyone you know a little taste of the honey you've harvested this year. We even use these jars ourselves for wedding favours.